Now that school’s back, you may be sitting in your car in the school car park waiting for the 3 o’clock bell to ring. 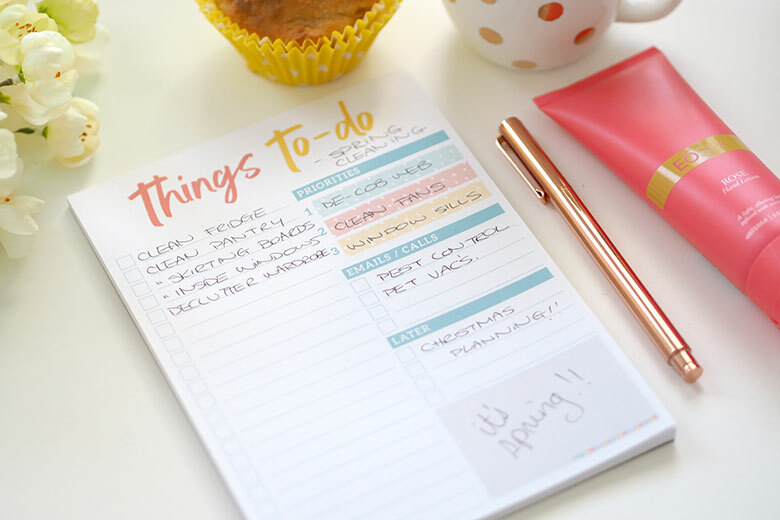 Why not make good use of the time with some of these productive ideas of what you can do with your time while you wait for your kids to finish school. I remember the days I used to go early to school to beat the school traffic and get a carpark. Well truthfully, I liked to also get there early to catch up with the mums and have some adult conversation, as I used to really enjoy those days! 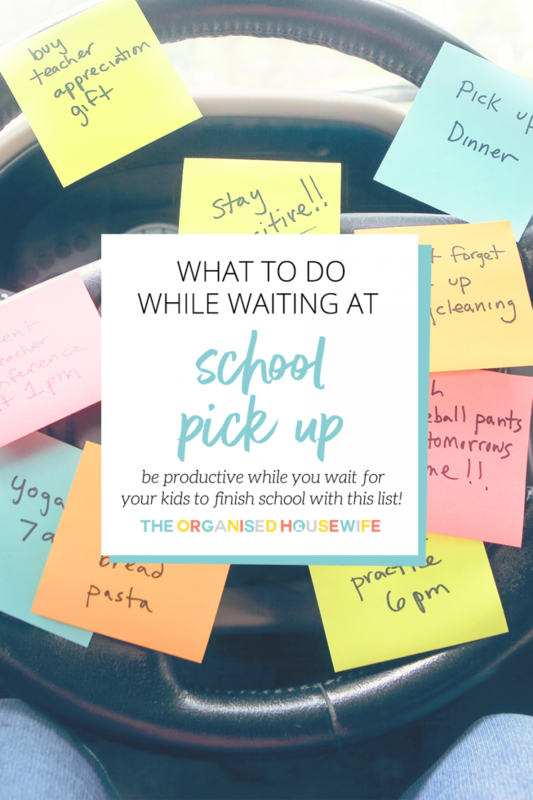 Now I pick the kids up from the drop and go lane or they catch the bus home, so it’s easier for me these days, but It’s not uncommon for mums to arrive up to 45 minutes early at school for pick up. So what do you do when you have all this time on your hands? 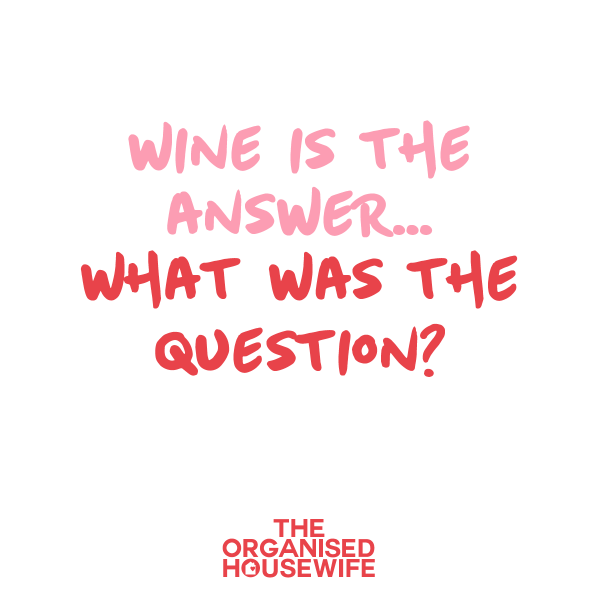 For those mums that don’t like to get out and socialise (and that’s totally OK, I actually don’t know many mums at my kid’s school these days!! ), I have some productive things for you to do while you wait to collect your kids from school and wait in the car park. Firstly, make sure that before you touch your phone, your car is either switched off or at least parked out of direct traffic, as it’s illegal to be on your phone even at the traffic lights. There is a fine line of what you can get away with at school. The pickup line is out with your phone because you have to be parked in a car space. Meal planning will save you so much time, both at home and the grocery store. Planning your week of meals ahead of time, while waiting for your child to finish school is the perfect way to be productive. You can even get a shopping list organised of all the planned meals while you wait. Plan your calendar in the car while you wait. 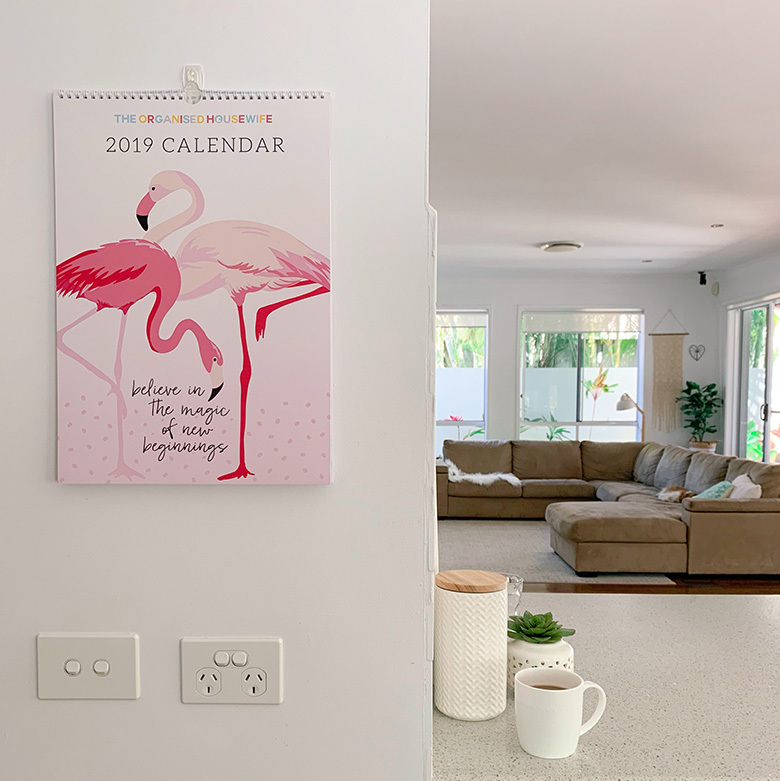 Add important dates, create reminders for appointments that are coming up and use the pickup time to just organise yourself better. If you have any important calls, or just want to chin wag with your girlfriend, make these calls while you wait. Remember that your friends are probably doing the same thing as you, and are picking their own kids up while waiting in their car. Use school pickup times to organise yourself better and check your to-do list. Delete and add whatever you need to help your day be more managed. You can purchase my To-Do List to help organise your day better. Now, this ones not very productive, but why not take a little break and play some games on your phone while you have that half an hour of you-time to just sit in the car and relax! Shopping online for all your groceries is a convenient way to save you some well deserved time. Park your car at school, and order your groceries online while you wait for the school bell to ring. If you shop at Woolworths and are a first-time online shopper, you can find a 5% discount voucher here. You could even watch Netflix while you wait. Just remember to check on your allowed monthly data because anything online in video format chews a lot of data. I myself love to listen to motivational podcasts. They can really boost your mindset and energy. The after-school pickup routine is the perfect timing to listen to your favourite motivational speakers to get inspired. For some inspirational quotes to read, read Inspiring and Motivational Quotes. This is one of my favourites LOL. You could clean your car while you wait. Grab some bags from home, park your car and remove all the rubbish, wipe down the dashboard with a cloth, and organise your car while you wait too! Dream a little dream, and make the dream a reality by planning your next holiday while you wait. Set yourself a goal to save, set a holiday budget and find where you want to go. 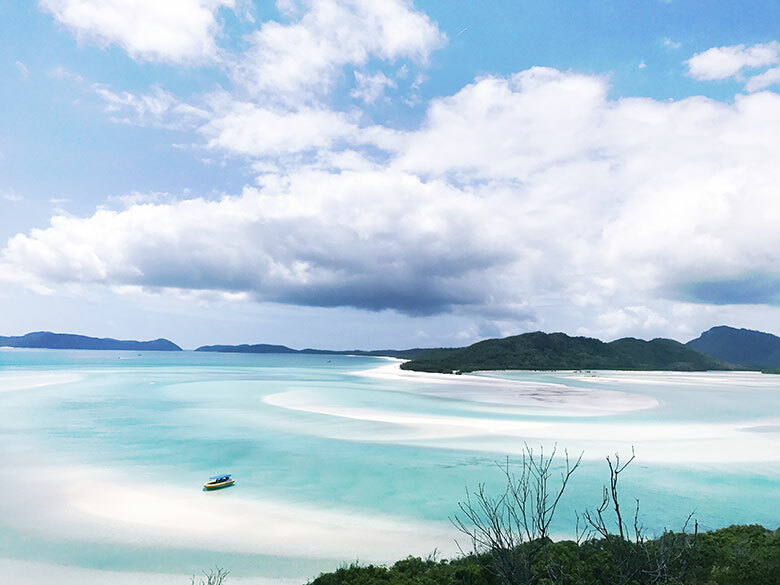 Be sure to read my 50+ Budget Travel Tips before you plan your next holiday! Write a list of the people you need to buy for and plan your gifts to buy for the next year. Write what they like and even note down gift ideas. 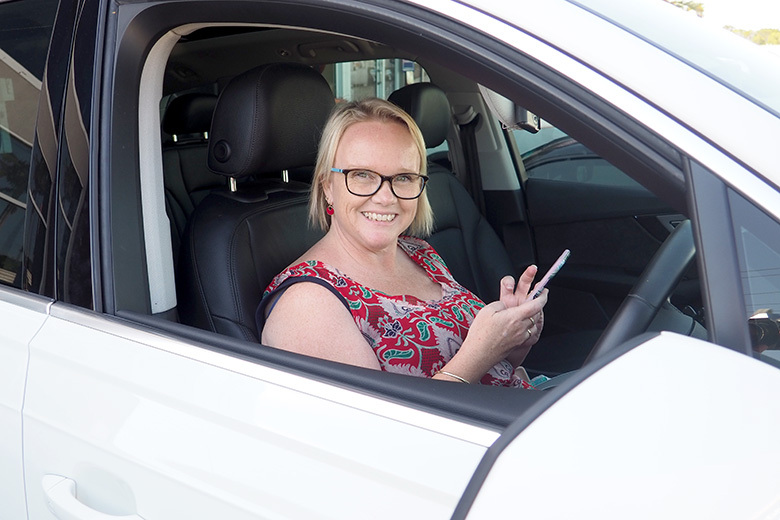 As a busy working mum, I don’t get much time to watch the news, so school pickup time is a great time for me to get online and see what’s been happening news-wise in the area. 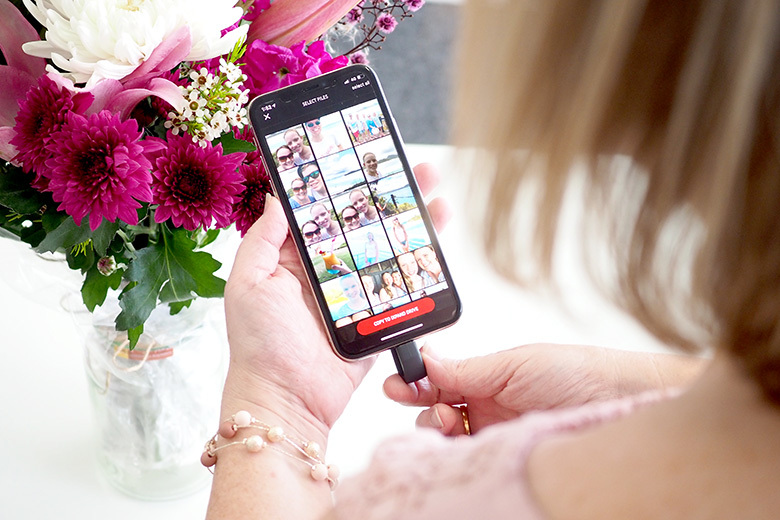 I am so guilty of keeping thousands of photos on my phone, which is why I use this little Sandisk device to store my photos from my phone, but I really need to organise my actual phone and even delete pics that are backed up already. School pick up is the perfect time to delete unwanted photos and make more space on it. I’m not much of a reader myself, as I don’t have much time to read, but school pickup is a little window of time you could spend reading that novel you’ve been meaning to start or even browse through a magazine. A great time to check and respond to your emails. While you’re there, click my daily email that’s come in and check out what I’ve been up to LOL. Subscribe to my daily or weekly newsletters here. Book your hairdressing appointment in and if you or your kids need to see a dentist or specialist, call them and find out availability and book your important appointments. Yes I know you’re laughing and picturing yourself sitting in your car while filing and painting your nails, but why not? It’s a little bit of ‘you’ time, so use it to your advantage. WHAT DO YOU DO WHILE WAITING IN THE CAR AT SCHOOL PICK UP? Yes! I have done all the above while waiting for kids either at school or sports, etc. Sometimes you just don’t feel like going in and being social and sometimes you just have to make the extra time to get something done like make some phone calls. I also found it was the only time I made to catch up on reading business articles from subscriptions, or going through the monthly receipts to prepare for processing through MYOB and checking off the credit card statements, etc. I used to try and do all those things when I was waiting because I thought of it as my ‘chill’ time. But after having done My Health For Life course that the Queensland government run, I try and use the time to do a walk around the block. I used to crochet too !! ? Meditation – lots of free apps, and helps to recharge ready for another marathon afternoon! I use this time to make important phone calls as it’s easier and it’s normally when I remember. But thank you so much for the other ideas. Will definitely be cleaning the car on the next school trip. Great ideas! Where do you look for motivational podcasts?